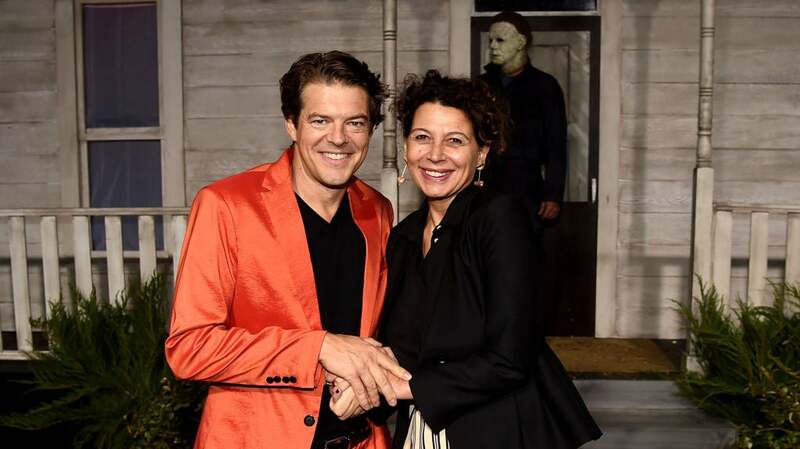 It’s been quite a big week for mega-producer Jason Blum. The man behind Paranormal Activity, Insidious, Split, Get Out and many other horror hits is set to have the biggest opening of his career thanks to Halloween — but in an interview about the film, he made some bad remarks explaining why his Blumhouse Productions hasn’t worked with many female directors. He’s now walked back that statement. In an interview with Polygon, Blum was asked why his company has never produced a theatrically distributed horror film made by a female director. He responded by saying, “There are not a lot of female directors period, and even less who are inclined to do horror,” which, obviously, is not true. He went on from there and there’s some important, additional context, so check out the full interview at the link above. Normally, when someone puts their foot in their mouth like that, they take a break from the public eye for a few days. Blum, however, had to attend the world premiere of Halloween in Hollywood the same day the article was published — a premiere which included a red carpet of rabid reporters eager to grill the producer on his gaffe. He answered a few questions there about it and took to his Twitter account later that evening to offer an additional response. In an era of dumb men being rightly called out for saying and doing dumb (or worse) things, that’s a pretty thoughtful apology. Hopefully, in the coming weeks, he takes meetings with some of the many, many creative women out there who love horror — and even those who don’t. We need more diverse voices in movies, and Blumhouse’s model of low-risk, high-reward projects are a great place for filmmakers to make their mark.